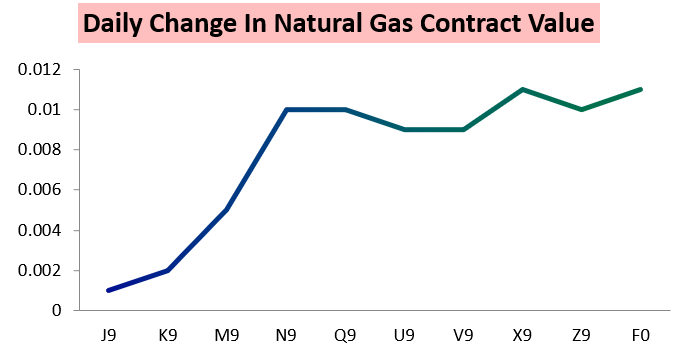 It was a rather slow day in the natural gas market, with the April contract settling just a tick higher in a 4.3-cent range. Bearish daily balances were canceled out by mixed weather forecasts and an in-line EIA print, keeping prices mostly range-bound. Later contracts along the curve were stronger through the day, with April actually being the weakest overall. The result is that the J/V April/October spread went out to recent wide levels. 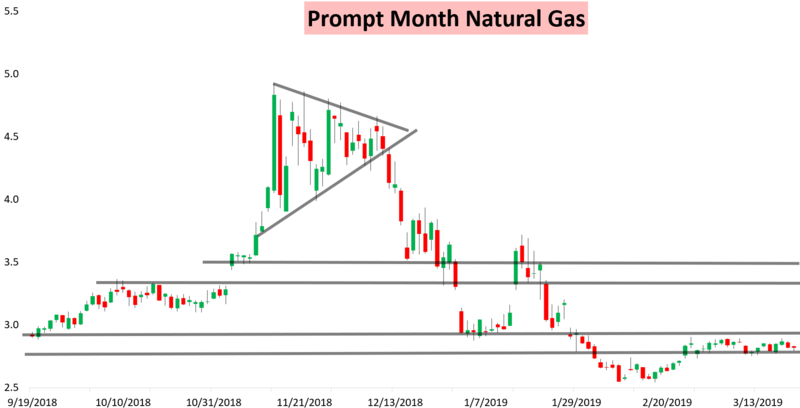 These later contracts were firm enough to help the April contract defend the $2.8 support level. 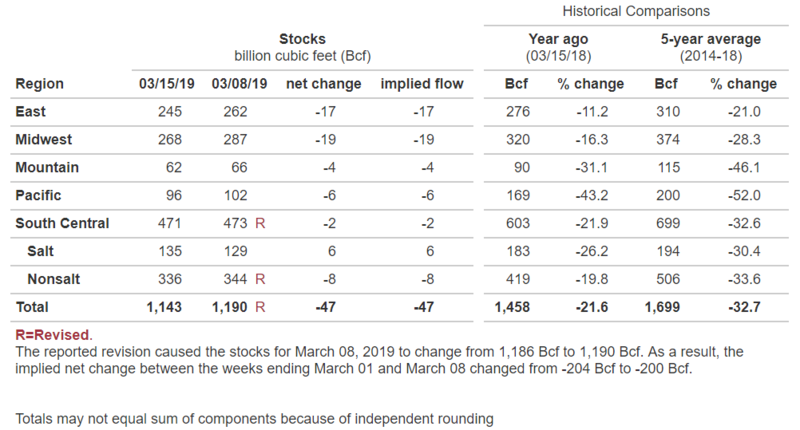 Our Morning Update was "Neutral" despite slight GWDD losses overnight we we highlighted that, "it still seems hard to break below the $2.8 level..."
Then the Energy Information Administration announced a draw of 47 bcf from storage last week, which was just 1 bcf away from our estimate of 48 bcf. They also announced a 4 bcf revision lower in last week's 204 bcf draw, indicating that the draw actually should have been 200 bcf. 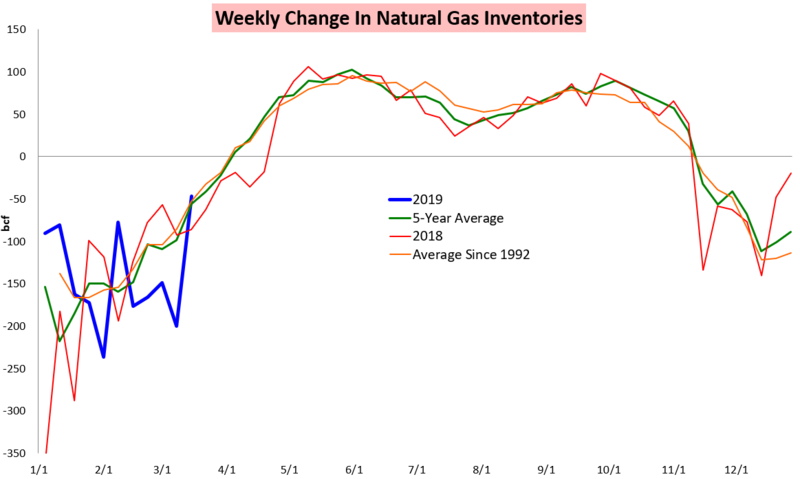 Despite the revision, the market did not move much after the EIA number, as it was seen generally confirming current expectations. 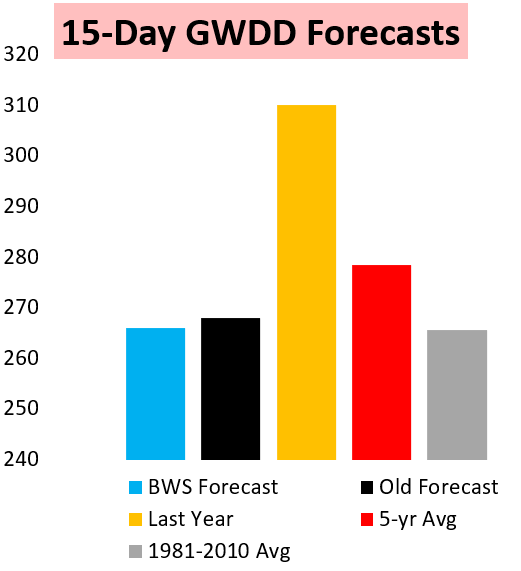 Our EIA Rapid Release highlighted we saw the number as "Neutral," which verified well, and then our Afternoon Update took a look at natural gas price risk and expected weather changes headed into the weekend. To give this report a look, and begin receiving all our detailed weather-driven analysis, try out a 10-day free trial here.. COPYRIGHT © 2019 BESPOKE WEATHER SERVICES, LLC. ALL RIGHTS RESERVED.